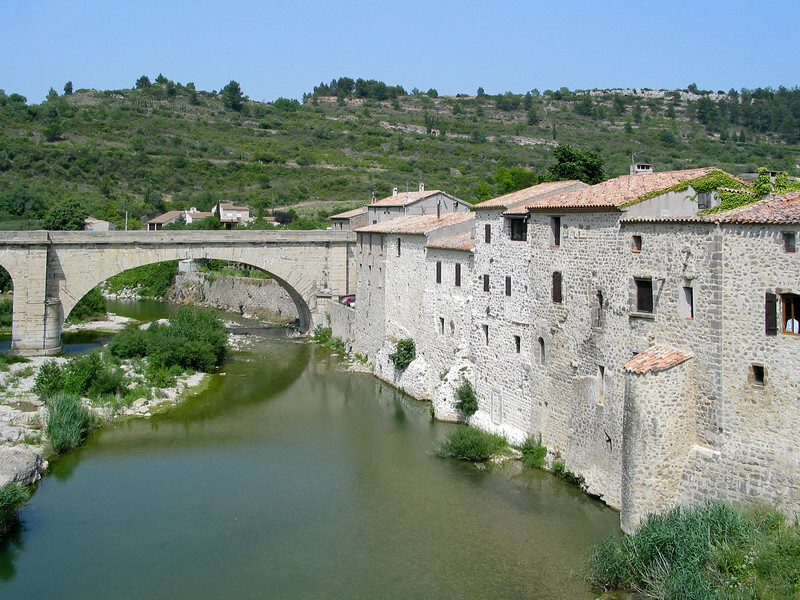 This village on the Orbieu river is known primarily for its adjacent abbey. The origins of the town and abbey appear to lie in Carolingian times, i.e. those of Charlemagne, in the 8th century. There still remains one tower in the abbey identified as Carolingian, or pre-Romanesque. Now the town is definitely a tourist destination and an artists' colony. The abbey is not as well preserved as Fontfroide, but the "ruin" is of interest in of itself.